Hundreds of women devotees are using their constitutional freedom to argue for their unfreedom – in line with the ascendant alt-right across the globe which is using liberalism itself to subvert its principles and hollow it out from within. 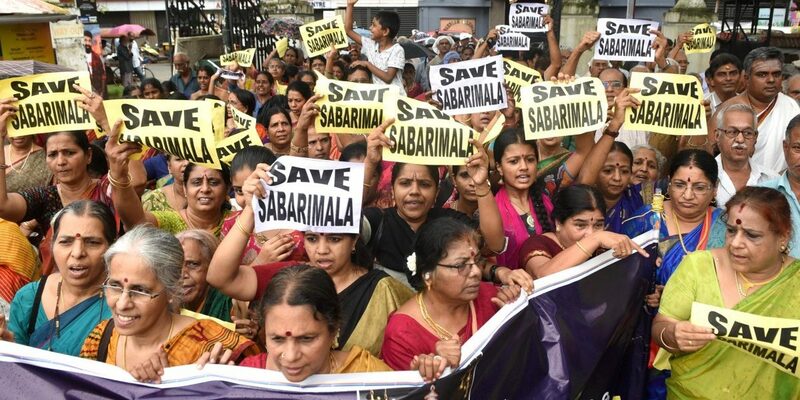 Recently, the Supreme Court passed the historic Sabarimala judgement which upheld the view that devotion to God cannot be subjected to gender discrimination. This judgement thereby allows women of menstruating age to enter the sanctum sanctorum of the temple, which had been hitherto prohibited owing to the belief that the deity was celibate. The majority verdict was passed by a five-judge bench with the lone woman, Justice Indu Malhotra, giving a dissenting view. While the four other justices upheld the right of women to enter the temple on the basis of not letting patriarchy of religion trump faith and individuality; Justice Malhotra argued for upholding the principle of non-interference in deeply religious matters unless asked by those who are being directly affected by it. The political consequences of this verdict have been rather profound. Within days there were reports of hundreds of women devotees belonging to Antarrashtriya Hindu Parishad blocking state and national highways in protest. The RSS, which initially welcomed the judgement, backtracked on its original stance with the organisation’s chief Mohan Bhagwat saying that sentiments of the devotees have been overlooked by the courts, and that while in principle equality between men and women is acceptable, certain traditions must not be interfered with. Large-scale mobilisation of right-wing groups preventing the entry of women into the temple and attacking media persons was witnessed a few days ago. These groups included scores of women within their ranks. This conjuncture underscores the modern democratic dilemma perfectly. The women concerned are using their constitutional freedom to argue for unfreedom; thereby exposing the limits of libertarianism or value-neutral liberalism in sustaining democracy and countering the ascendant right-wing across the world. In other words, the ascendant alt-right across the globe uses liberalism itself to subvert its principles and hollow it out from within. It is this tactic of the alt-right which allows the likes of Modi, Trump and Erdogan to boast about democratic legitimacy while eroding its foundations from within. The second half of the 20th century was dominated by the Cold War which pitted the values of liberty against equality in the popular discourse. The two were pitted as opposites and had to be bartered with the US “supposedly” championing ‘freedom’ while the USSR “supposedly” championing ‘equality’. This was a false dichotomy employed for political purposes. With the fall of the Soviet Union, the conceptions of freedom as non-interference or libertarianism became the philosophical handmaiden of emergent neoliberal economic order in the post-Cold War era. Since then, most of the demands of the social movements in the West have been articulated in the language of freedom. Whether it was the LGBTQ+ movement’s claim to be free from stigma and marry who they want to the freedom of women to choose to opt for abortion to name a few. However, in the post-recession era, the alt-right has co-opted these principles of non-interference like freedom of speech and individualism and by employing an extremely amoral and ahistorical interpretation of them they have harvested rich political dividends by preying on the resentment of the masses. It is this unanchored, value-neutral liberalism which allows Donald Trump to equate Nazis with their opponents and say that there were fine people on both sides in Charlottesville, while still appearing democratic; after all, he is ascribing the same value to each individual’s opinion and motive there. Bhagwat, much like the women protestors, adopts a similar line of argument to say that the court should not have interfered with the individual beliefs of the devotees, much like the observations of Justice Malhotra. Here the argument being proffered is – my claim of sustaining irrationality and inequality has the same value as your claim of championing rationality and equality. It is within this aporia of liberalism that the alt-right finds its ideological sustenance. It is important to understand that the idea of democracy arose within a certain historical context and was nurtured within the matrix of certain values of rationality, liberty, equality and fraternity. Bereft of these, democracy becomes indistinguishable from tyranny. In the Indian context, owing to the caste system – it was struggles for rationality, equality and dignity by stalwarts like Periyar and Ambedkar which led to the shaping of our democracy. It would not be an overstatement to say that equality has been the cornerstone of our democratic tradition. In fact, these values of liberty, equality and fraternity are indivisible because each feed into the other. A democracy anchored in value-based liberal egalitarianism gives us many more philosophical and moral resources to counter the alt-right rather than empty assertions of freedom. In fact, even in this case, the other four judges have anchored their view within the values of reason, equality and dignity and recognised patriarchy as an oppressive structure and enabled them to arrive at such a judgement. Therefore, in place of libertarianism, we need robust morally anchored, egalitarian articulations to counter the ascendant alt-right across the globe. 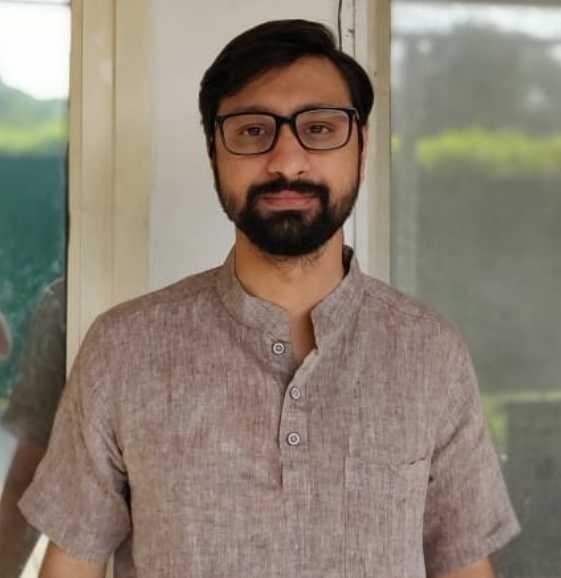 Anshul Trivedi completed his MPhil from the Centre for Political Studies, JNU. He is an activist and a freelance journalist. He tweets @anshultrivedi47.